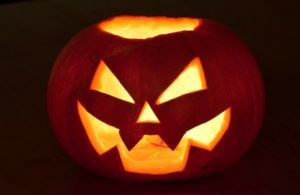 As the Halloween and bonfire night period approaches officers from Police Scotland are issuing some simple guidance for parents and young people to ensure that the festivities pass safely and that antisocial or irresponsible behaviour is avoided. Officers will also be stepping up patrols across the north-east. Halloween and the run up to bonfire and fireworks night is a fun and family-oriented time but unfortunately it is often a very busy time of year for emergency services. We want to encourage people to enjoy the festivities but in a safe and responsible manner. I would ask parents to make sure they know the whereabouts of their children and to make sure they are not spoiling the fun for others, causing a nuisance, committing anti-social behaviour or damaging property. High visibility patrols will be operating in communities across Aberdeen, Aberdeenshire and Moray to prevent crime and deter anti-social behaviour and we would encourage our communities to engage with the officers and report any concerns they have. Adults should be aware and make their children aware that it is an offence to supply a firework, either for payment or given free, to any person under the age of 18. Furthermore it is an offence for any persons under the age of 18 to be in possession of a firework in a public place. We will do everything we can to ensure those involved in any type of unacceptable behaviour, are held to account for their actions. We hope that with the support of parents, retailers, licensed trade and communities themselves, we can work together and help make Halloween safe and enjoyable.